Patricia Jane Staunton was born in Townsville, Queensland, on 30 November 1946, the daughter of Michael Patrick and Constance Anne Staunton. Staunton was educated at St Patrick’s College, Townsville, the University of London, and the University of Sydney. She trained as a nurse at the Townsville General Hospital, the Royal Hospital for Women, and St. Vincent’s Hospital 1963-69. She gained her Bachelor of Laws (LL.B) from the University of London while nursing at St Stephen’s Hospital in Chelsea and was admitted as a barrister of the Supreme Court of New South Wales in 1976. From 1976 to 1980 she was in private practice. She was the legal officer of the New South Wales Nurses’ Association from 1980 and became its Assistant General Secretary in 1985 and General Secretary in 1987. In 1988 she was the Director of the Health Employees Superannuation Trust of Australia and was appointed to the National Board of Directors of the Trade Union Training Authority in 1988. She was a member of the New South Wales Health Advisory Council in 1989. Staunton was a Local Court Magistrate from 1997 to 1999 and Chief Magistrate of NSW from 1999 to 2002. Since 2002 she has been a Judicial Member and Deputy President of the Industrial Relations Commission of NSW. Staunton was on the Executive Committee of the Evatt Foundation. She was a member of the Australia-Japan Foundation, a member of the National Health and Medical Council, and director of the Health Employees Superannuation Trust of Australia and the NSW State Authorities Superannuation Board. She was Federal President of the Australian Nursing Federation from 1991 to 1995. She was a member of ALP, Head Office, from 1982 to 1995 and a member of the Erskineville Branch of the ALP from 1995. In 1990 she was Vice-President of the ACTU. Patricia Staunton was awarded the Member of Order of Australia for services to nursing in 1995. 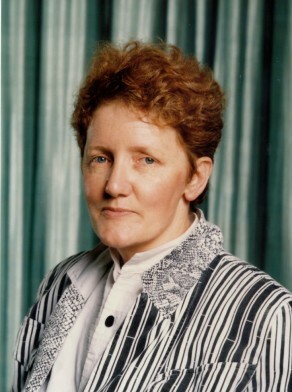 Patricia Staunton was Alderman from 1 January 1989 to 13 September 1991. Between 1989 and 1990 she was a member of the Finance Committee, the Deputy Chairman of the Community Services Committee, and the Chairman of the Industrial Relations Committee.